While you may sometimes know that a hair loss crisis is looming on your own head, you may seem powerless to stop it. True, every head of hair has its ups and downs and sticky patches, but your hair loss may be more serious. It may require something more intensive. There are people who, after trying lots of ways and means to encourage hair growth, found buying Finasteride as a hair SOS strategy to save their ailing hair. 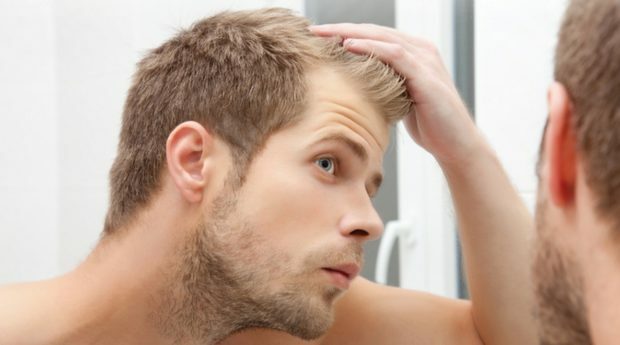 Finasteride is a medication that is being used in 2019 to treat male pattern baldness, also known as androgenetic alopecia. The medication decreases the amount of the hormone dihydrotestosterone or DHT which is actually one of the culprits behind balding. Of course, hair loss has quite a few other causes, and severe stress, some medications, a poor diet as well as pollution and genetics can all wreak havoc with your hair. Hair loss can be devastating and you, therefore, want to give it the best chances there are to ‘feed’ it and give it less chance to fall out. Always known as a male medication for baldness, because of its success, there are women who are also starting to use the medication to treat their own hair loss issues. It’s not just men losing their hair, plenty of women suffer from hair loss, too, with millions suffering from hereditary hair loss. A medication product such as Finasteride is available at online pharmacies such as Oxfordonlinepharmacy.co.uk once you have seen a doctor and have a prescription to hand in. There isn’t a cure for baldness, but your doctor will give you the name of something that can help you hold on to what you have and encourage some re-growth. When it comes to buying products at an online pharmacy, you want to be 100% sure that the pharmacy you deal with is registered and legit. Online pharmacies such as Oxfordonlinepharmacy.co.uk, chemistdirect.co.uk and assuredpharmacy.co.uk keep a wide range of medicines including Finasteride and always at good prices. It’s always a good idea to shop for hair loss products at a registered online pharmacy because this means that the store is monitored and on the books of the Care Quality Commission. You can then be sure that the products you buy are the real thing and not made up of fake, useless ingredients that can harm you. Finasteride 1mg and which is branded as Propecia, is an FDA-approved oral treatment for hair loss. You can’t just order it though, as buying it will require a visit to a doctor and a prescription. Then it’s easy for you as it is simply a case of taking one of these tablets each day. It promotes hair growth for those who use it consistently. When you do research, you find that there are people who have been using the medication for a good number of years and that it stopped their progression of hair loss. There are some side effects, but most people respond well to it and are thrilled that they were able to beat their hair loss once and for all. The best part about shopping at an online pharmacy for a product such as Finasteride is that they’re open around the clock, night and day. You never have to hunt for a pharmacy, because you can order your medicine from the palm of your hand if you have a smartphone. Discreet, private, helpful and with delivery included, your hair loss issues and accompanying embarrassment can become a hassle-free convenience without you even having to leave your house. It’s no use hearing someone tell you not to worry about hair loss. Losing hair can be so devastating as to be debilitating, but in your anxious state, there are two things working in your favour in 2019 – the means to quietly and discreetly order online and to get to a doctor and to take steps to see what Finasteride can do for you.